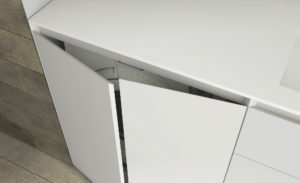 Base units with Fenix Bianco Male doors and end panels. 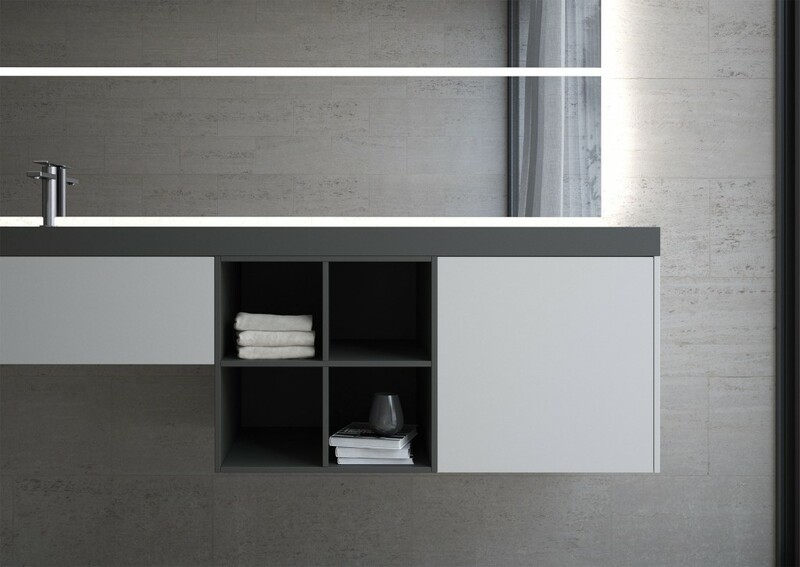 Fenix Grigio Londra open unit and top with integrated washbasin. “Side” mirror. Sense, the new bathroom furniture collection by AQUA revolves around the concept of materials: its aesthetic inspiration blends technically advanced materials with hard-wearing textured wood finishes, like the solid sandblasted Teak wood. The Fenix NTM laminate, created with using nanotechnologies, gives the highest aesthetic and functional performance: it’s fingerprint-proof, soft to the touch, and extremely matt. 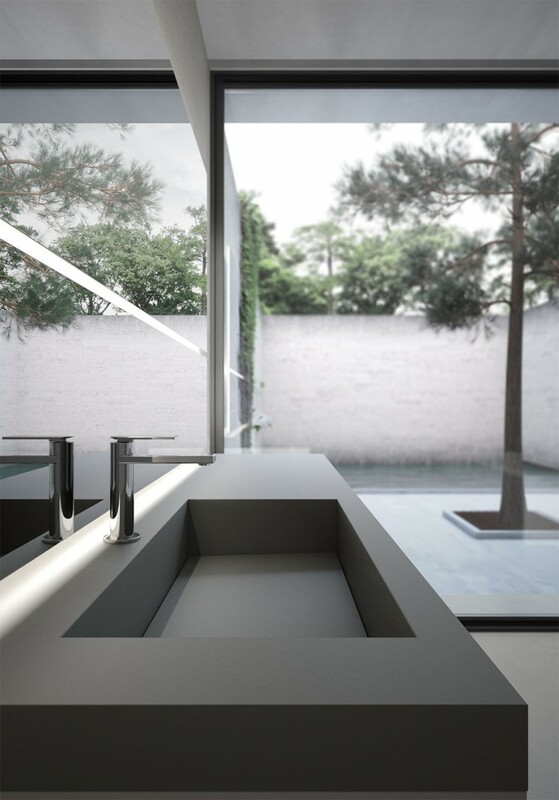 Installation is customizable as well: the bathroom washbasins can be integrated in the furniture or freestanding. 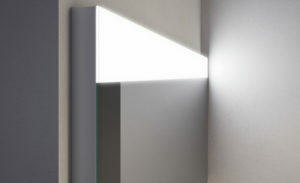 Sense’s bathroom cabinets and vanities are all about a visual but above all tactile experience that lets you rediscover a new connection between design, texture and advanced product innovation. Idea Italy has a long history. Founded in 1987, it has always been able to integrate new skills and techniques to offer bathroom furniture product lines able to adapt in a functional and aesthetically pleasing way to their environment. It is bathroom furniture with an elegant modern style. The collections of bathroom furniture ranges from the most innovative to timeless classics. This aesthetic, combined with production adaptability and flexibility, has enabled the company to successfully explore materials and technologies and to create outstanding quality and design for its clients. AQUA: ESSENTIAL DESIGN. MADE IN ITALY. 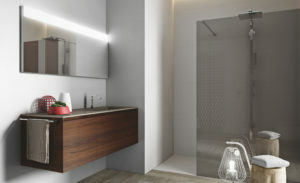 It is essential bathroom furniture, minimal, elegant and high design. 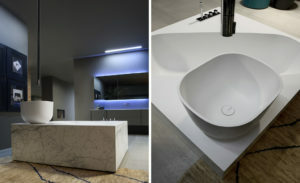 These are the qualities shared by all Aqua products: designer bathroom furnishings which become actual pieces of furniture, employing distinct linearity and clean lines to clearly express the designer’s creative concepts, the products of a meticulous design process aimed at ensuring customers receive beautiful and functional products. 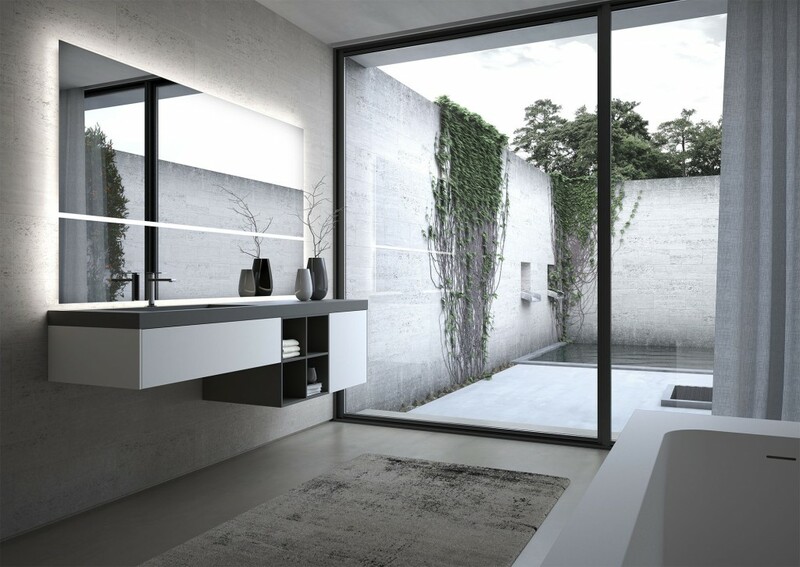 Aqua bathroom furniture highlights its decidedly contemporary feel with a range of sophisticated, hi-tech and innovative materials – which are often also precious and unique – all to create original products and unparalleled design. Aqua is part of Idea Group of companies. omposition: W 183.6 x D 50 CM. Please contact us regarding shipping. Made to order (approx. 12 weeks).